Things have been a little slow around here as I’ve been finishing my assignment in Chicago, being a bridesmaid, hosting family and friends and oh yeah getting ready for the HEB Meal Maker Challenge. What’s that you say? Only the coolest back to school cooking challenge hosted by one of my favorite stores. Sounds like fun! Oh and did I mention it was a competition? That’s right, it’s a pinterest competition. When I was contacted back in June I jumped at the chance to enter my first cooking competition. Ok well not my first…I did enter the Austin Cake Show Taste Competition and won 3rd!!! for my fabulous Lavender Blueberry Angel Food Cake but this is my first virtual blogger challenge! Preparing for this was a bit of a challenge as I was in Chicago during the week and Austin on the weekends. After having to fend for himself, Mr. RWB really enjoyed all the tasty meals. Over the next few weeks, each Sunday there will be a new Meal Maker Challenge recipe that’s quick, easy and totally tasty! Above is a sneak peak of what will be appearing in the coming month! 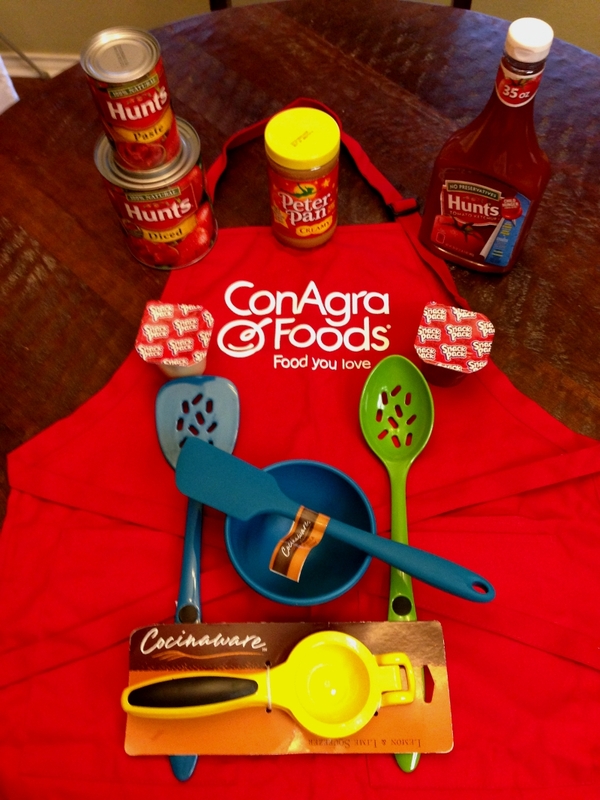 Now here’s the best part, HEB and Con-agra sent me a box full of goodies and I’ve decided to share! Enter the giveaway below by Sunday August 4th and the winner will be announced Monday morning at 10am! Good Luck! 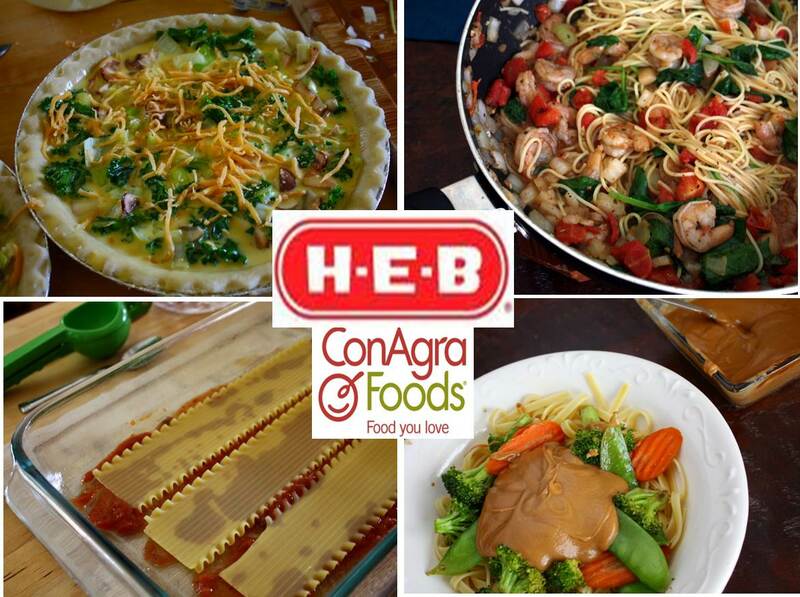 **HEB and Con-Agra has provided the giveaway items at no charge and has provided compensation for this post. All opinions, recipes and photos are my own. Great giveaway! Sounds like you have been one busy girl! The dishes look great! How fun! Can’t wait to hear more!!! Thanks for this giveaway. I hope to win for my future daughter in law. She loves to cook.